Minister of Finance and the Public Service, Hon. Audley Shaw, is calling for greater inter-linkages within the Latin American and Caribbean region, in an effort to maximise areas of mutual benefit. Speaking at a forum of the Americas Society Council of the Americas (ASCOA), on December 2, at the Intercontinental Hotel in Miami, Mr. Shaw said he is optimistic in the future of the Caribbean and suggested that the countries across the region could share their technology and expertise to create areas of opportunity for regional development. The Minister said efforts were being made to work more closely with countries in the region, citing the recent discussions with Colombia on crime fighting measures, and talks about projects in the areas of agriculture and ethanol production. “The global economic crisis should serve to sharpen our focus and strengthen our resolve to produce and earn our way to better performance and prosperity,” Mr. Shaw said. 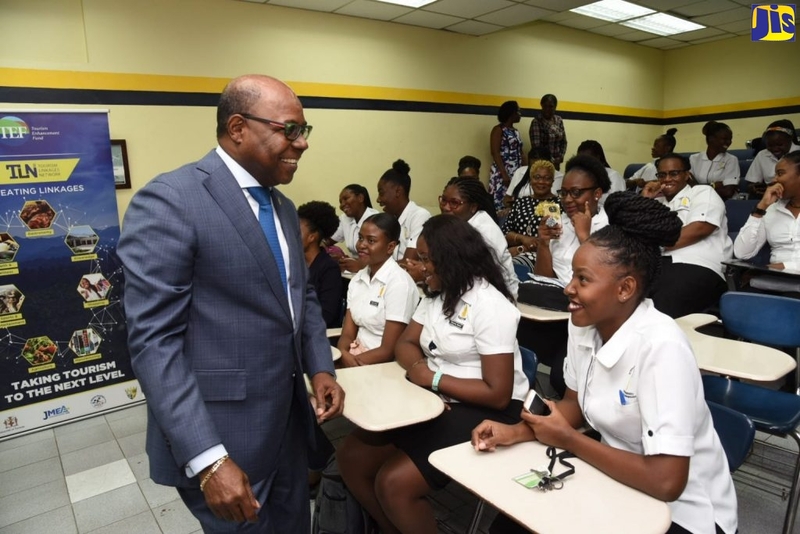 Regarding Jamaica’s current economic outlook, the Minister told the audience that the Government has undertaken significant steps to establish a sound foundation for economic growth and development. “We are moving forward in the right direction,” he said. On investment projects being undertaken, the Minister spoke of the re-development of downtown Kingston, citing the move by telecoms giant, Digicel to establish its global headquarters downtown. He also spoke of infrastructural development in the areas of tourism, agriculture, information technology and the service industry. In the area of action to rid the country of crime and corruption, Mr. Shaw cited crime-fighting measures implemented by the Jamaica Constabulary Force (JCF). “As a result of the strategies and interdiction by the Police, we have seen results in the aggressive decline in the murder rate, compared to last year,” the Minister said. Prior to the forum, Minister Shaw was guest of the ASCOA at a private meeting with senior level corporate members of the Council of the Americas, where he presented a general overview of the investment and economic climate in Jamaica. The Minister was accompanied by Jamaica’s Consul General, Sandra Grant Griffiths; Consul at the Consulate General of Jamaica, Ms. Desereine Taylor and Jamaica’s Diaspora Advisory Board representative to the Southern USA, Marlon Hill.